The Cosmedix philosophy is based around the principle that inflammation is the core cause of all skin conditions. Traditional skin care products have often used artificial colors, fragrances and preservatives when addressing common skin problems, which can create inflammation. Cosmedix not only removes those irritants but makes the majority of their active ingredients less irritating as well. Having seen their products’ results among our clients, we stand by this natural approach. Higher-level active ingredients to ensure maximum efficacy without a prescription. 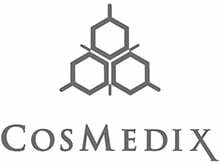 From chemically correct peels to procedure specific skin care, Cosmedix Elite Rx products speak the language of the skin. 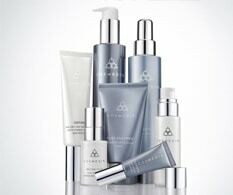 Turn to the Results Rx system to further enhance your skin care program. 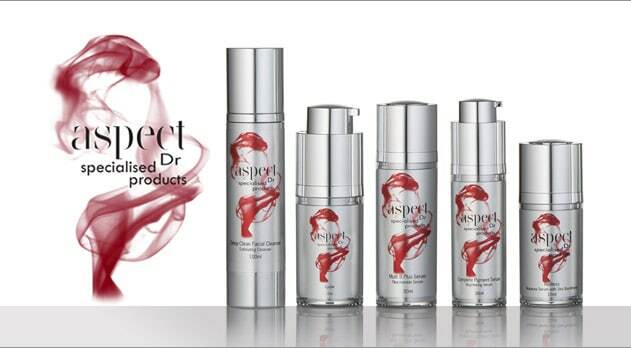 There’s a reason that you can’t buy the Aspect Dr range of active products in department stores or online: Aspect Dr works closely with only selected medical professionals to provide high-end results to discerning clients. The Aspect Dr range includes in-clinic peels and is formulated with the highest concentrations of pure, naturally derived botanicals and high-octane cosmeceutical correctives, as well as using certified organic ingredients wherever possible. Our range of Colorescience makeup is designed to help you achieve flawless skin in the most healthy and natural way, for a better kind of beauty. 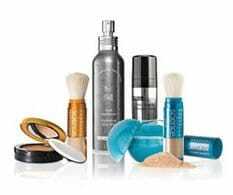 Their products are formulated using clean, breathable minerals and offer outstanding sun protection, nourishment and colour in one pure package. There are no mineral oils, alcohol, talc, fillers, dyes or fragrances to irritate the skin, and the results speak for themselves. DNA Renewal was formulated after 25 years of research by Dr Moy to reverse pre-cancers in patients with severely sun damaged skin. Further studies revealed DNA repair Enzymes used with epidermal growth factors revealed dramatic age reversing results. DNA is the master control for all skin functions, healthy DNA is vital to beautiful skin. With ageing, the production of DNA Repair Enzymes and Epidermal Growth Factor declines resulting in lines, wrinkles and loss of firmness. This 5 product range consists of DNA Repair Enzymes and Growth Factors that can be used in conjunction with any other skincare range you are using.